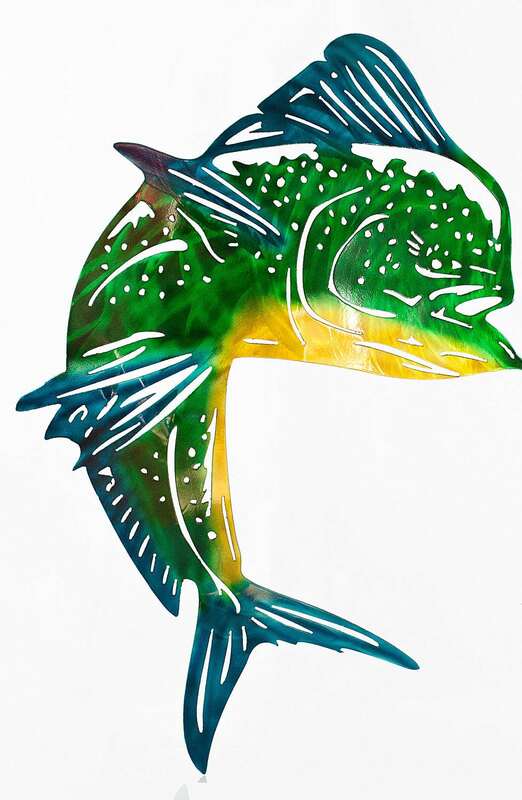 This Metal Mahi Aluminum Wall art is a handmade mahi piece. 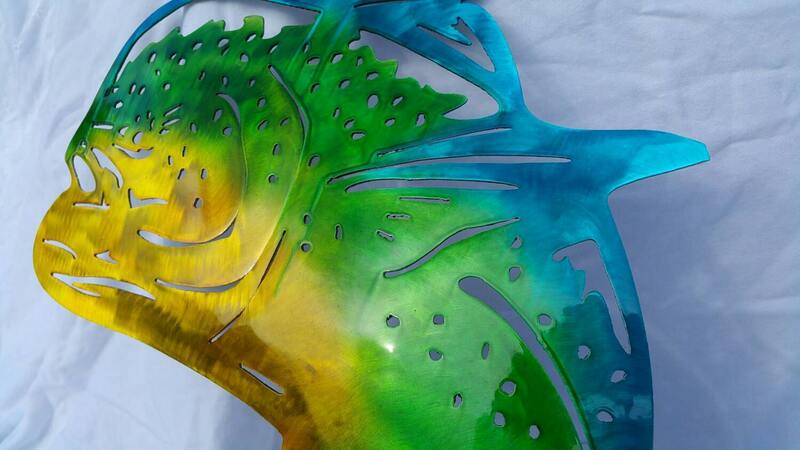 First, this mahi decor is cut by plasma from aluminum. Then, our beautiful ocean art is hand hammered into a complex shape, then planished smooth. After forming this perfect beach house decor, the mahi is airbrushed and then powder coated clear. Since this piece is made from aluminum, it is a perfect interior design piece or for coastal living as you will never have to worry about rust! 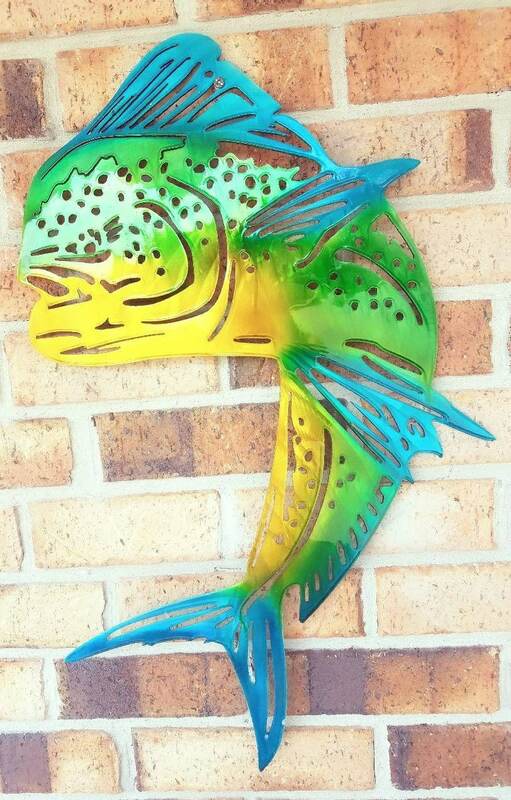 This stunning, colorful piece would make a beautiful addition as a Father's Day or Birthday gift for YOUR fishing enthusiast! 100% Made in the USA! Custom sizes available, just ask! The mahi looks beautiful on the wall. Fast shipping! Great art work. We love this item. They did a great job on the paint also!